We have experience in all kinds of house extensions, rear extension, side, double extensions and can offer the best advice as to how to maximise the space in your property. We can take all the worry of planning, managing and performing your extension off your shoulders and we guarantee your extension will be built to strictly regulated standards. 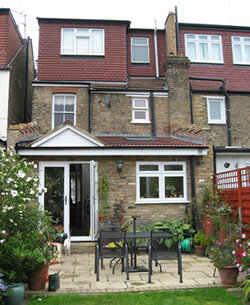 Royle Builders have been great to work with, both on my extension and on my house refurbishment. They are reasonably priced, very reliable and give great results. I am very pleased!